SAC recognizes that students are a vital part of our membership and are the future of the professions we represent. 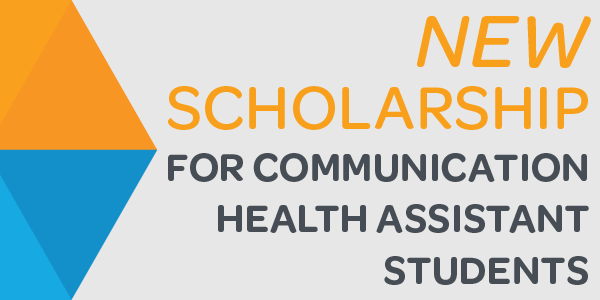 As part of our ongoing commitment to support student associates in their pursuit of becoming communication health assistants, SAC’s Board of Directors has established an annual scholarship valued at $750. SAC Communication Health Assistant student associates. Applicants will be notified by email of recipient status. Please notify SAC of any changes to the email address given on the application form. Proof of Canadian citizenship or permanent resident status and a social insurance number (for a T4 to be issued) must be provided upon request. The recipient’s name, university or college and province or territory may be used in SAC publications.